In recent years the threat of drones has become increasingly vivid to many security agencies. Drones, nowadays, are used by terrorist and criminals for a multitude and variety of activities such as dropping small bombs on enemy forces in Syria and Iraq, and the same drones are often used for reconnaissance and smuggling of illicit contrabands to prisons. 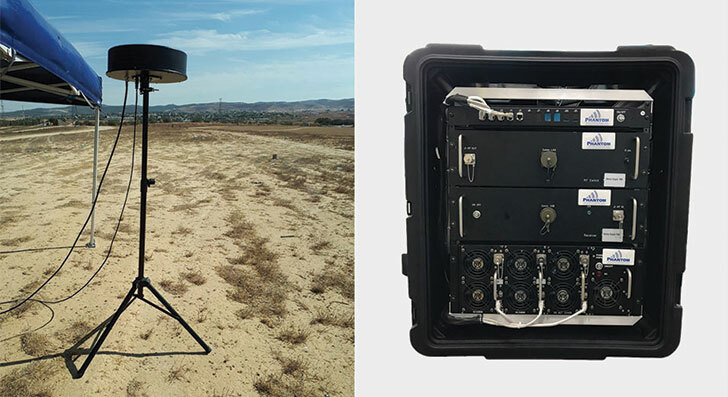 The drone detection and jamming system EAGLE108 was designed to neutralize the flight unauthorized Drones/Quadcopters by jamming their downlink signal. The EAGLE108 has unique software which allows quickly detecting the drone and jamming its communications system from ranges of up to 4km (with special dedicated antennas). The below provides technical description of the system. a) Jamming of Wi Fi frequencies 2.4 and 5.8GHz. b) Jamming of the GPS frequency 1.5GHz. c) Scan – detect – identify – jam up to 1km. 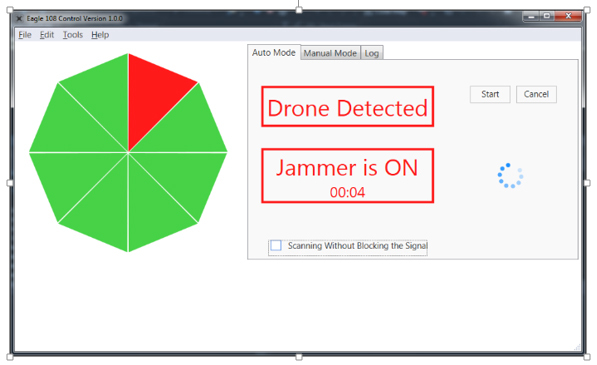 Basically, the drone jammer creates an envelope of jamming which surrounds the drone. Concretely, the system jams the downlink signal of the drone to the drone operator and the signal coming from the GPS satellite. Jamming time has been set up to 2 minutes in order to avoid any possible interference to other RF relevant emissions. Frequency Band The below represents 7 different bands that are available for installation in the system. Final configuration of the system will be decided with the customer.